Sorry if there is already a tread on this? Having read a few posts about people's personal unicorn bikes, I was wondering which bike(s) people hope will come up for sale one day or if you own your Unicorn, is it as good as you hoped. 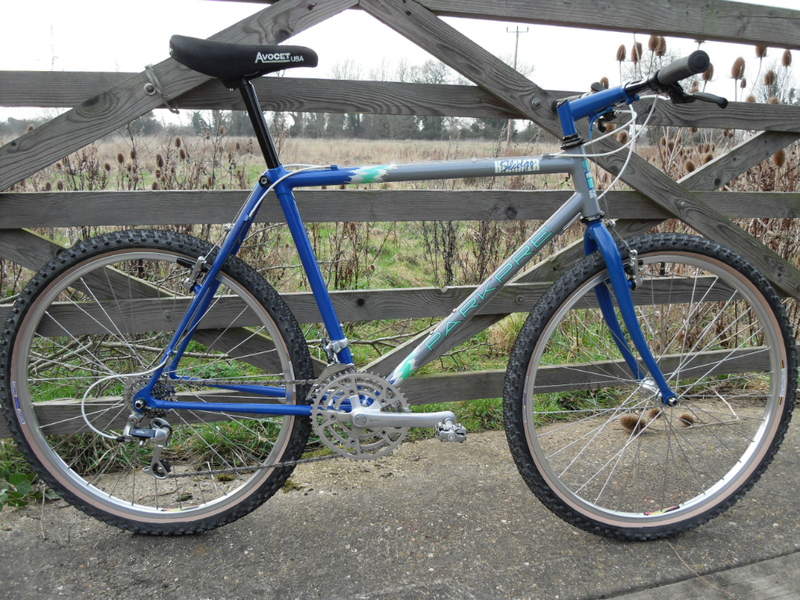 My personal unicorn is a 90 Saracen Trekker in Metallic Pewter, when I was younger and had all the catalogs, this was the bike that always stood out, I thought it looked awesome but could only afford the traverse. Have never even seen one and only pictures I've found are from the same catalog that I had as a kid. I am lucky enough to now own most of the bikes I didn't think I'd ever be able to afford BITD, but if there is one bike that I lusted after back then that I would like the chance to own, then it would be the HOTTA, made not far from me. I've never seen one, and I don't remember seeing a test on one either, but they were a real cutting edge design at the time. I dunno. A lot of the bikes from BITD that were lusted and masturbated over we're actually pretty crap. Most of the metal, new or old, that I would like to own was generally widely available and attainable either then or now. Model so long as its a decent spec, original, with kicked out forks ad long wheel base - and a Guvnor, which my missus is buying me when she retires in a few months. I dunno. A lot of the bikes from BITD that were lusted and masturbated over we're actually pretty crap. I agree with this comment, but it doesn't stop me still wanting a Muddy Fox Interactive! That Orange Formula that was in the MBUK summer special - Pwoar! Probably others i haven't even realised too. and found some that i really like that i didn;t realise that i 'needed'. Some are on their way out - hence my sales at the minute. Found and built mine, My 99 GT Lobo, couldnt afford it when I was 13! So built it 2 years back.